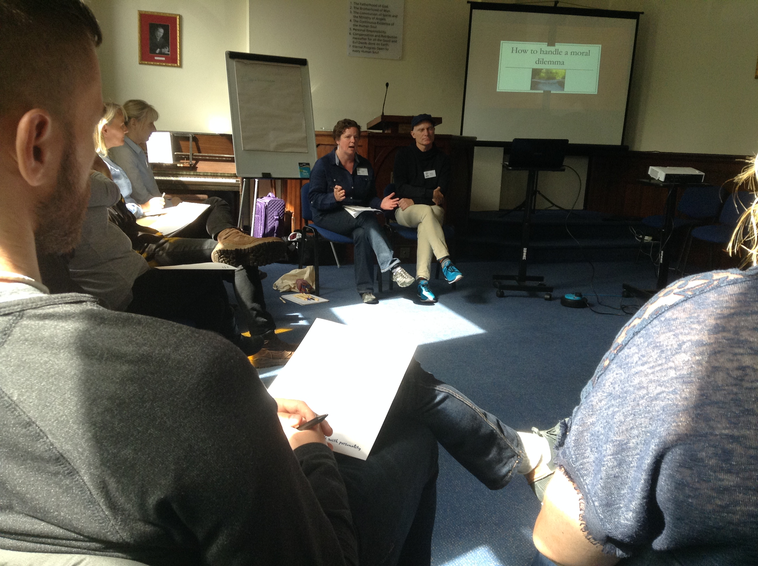 Eighteen participants from Scotland and Ireland met with Nicola Boyce and Soren Kayser who led a workshop about handling moral dilemmas in practice. The day started with an introduction about SPPA and the topic followed by the discussion about moral dilemmas. Below is a reflection of the content of the day. 1. Is it really a moral dilemma? Opening up a reflective space to check the problem meets the criteria of a moral dilemma. 2. What are the rationales and importance of each option open to practitioners? 3. Check if there's a social pedagogical 'third' option? 5. Check if there are new options opened up along the way? Many apparently intractable moral dilemmas do find a solution. Participants brought their own moral dilemmas and this was discussed. Towards the end of the day, Claire facilitated a discussion to shape the future of SPPA in Scotland. SPPA helped generate much enthusiasm for a higher profile for social pedagogy in Scotland. We will be reporting on their next steps in future editions of the newsletter. Have a look at some of the photos taken of the day. A full day course for anyone who works with, or volunteers in, any aspect of social care or education with children or adults, and who experiences professional moral dilemmas. The speakers will work with a variety of methods, including presentations, discussions and reflection in groups. Moral dilemmas are daily challenges in social pedagogy. Soren and Nicola will introduce a reflection model designed to handle moral dilemmas, and you will get a chance to apply it, reflecting on your own moral dilemmas. After the course you’ll will be able to reflect on moral dilemmas in a way that will lead to ethically grounded and pedagogically tenable ways of action. SØREN KAYSER has a master in philosophy. He has a long-standing experience from different positions in the field of social pedagogy – as a practitioner working with people with multiple impairments, as a consultant working in projects supporting social relations and as a development consultant. He has both been working in the disability field and in social psychiatry. Alongside Søren has been teaching and facilitating workshops, for a large part on moral dilemmas in social pedagogy and in 2005 he wrote the book ‘On the other hand – ethics, dilemmas and care’ (only available in Danish). The book presents a model of reflection on moral dilemmas. He is at present teaching at University College Capital in Copenhagen, department of social education, where he largely teaches students that are specializing in social pedagogy. Nicola Boyce is social pedagogy trainer for St Christopher’s Fellowship, a charity which provides fostering, residential and support services for children and young people. Her background is in residential child care where she became involved with developing social pedagogy at Essex County Council, doing participatory action research with children and staff to explore their experiences of social pedagogy in practice. She joined St Christopher’s in 2012 to open a new children’s home based on social pedagogic principles and in her current role provides training to staff and leads on strategic organisational development work to embed social pedagogy systemically. Nicola has a keen interest in the relationship between theory and the complex, messy realities of relational practice with adolescents and their families, particularly those labelled most “challenging” or “hard to reach”. 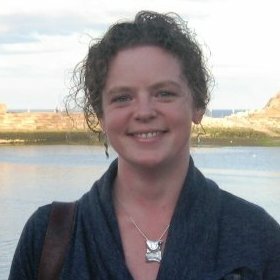 She has particular expertise in social pedagogy in practice with young people who have experienced abuse, trauma, mental health issues and sexual exploitation and is a passionate advocate for ethical, empowerment-based practice. We are supporting the Compass Child & Family Services Conference on 1st July 2019 at University of Limerick, Limerick, Ireland. The conference aims to showcase alternatives for working with children including trauma informed approaches and social pedagogical frameworks. Keynote speakers include Claire Cameron, Professor of Social Pedagogy at UCL Institute of Education and Robyn Kemp, Director, Kemp Consultancy, Social Care & Social Pedagogy Consultancy UK and SPPA Trustee. Tickets from EUR40. Concessions available. Call for workshops for SPPA conference 2019 at Friends House, Manchester on 4 October! The event will be an invigorating, refreshing, and quirky opportunity to hear about all kinds of creative practices, approaches, theories and frameworks. We are looking for interactive, experiential and academically focused workshops, from a social pedagogical perspective, from academics, policy makers, practitioners and students from across a range of disciplines. Workshops will last for 1 hour 15 mins and should aim to both inform and involve participants. The focus of workshops should fit broadly within the title of the conference. Workshop proposals should provide a title and be a maximum of 250 words. Please include the proposer’s name(s) and contact details along with their job titles.